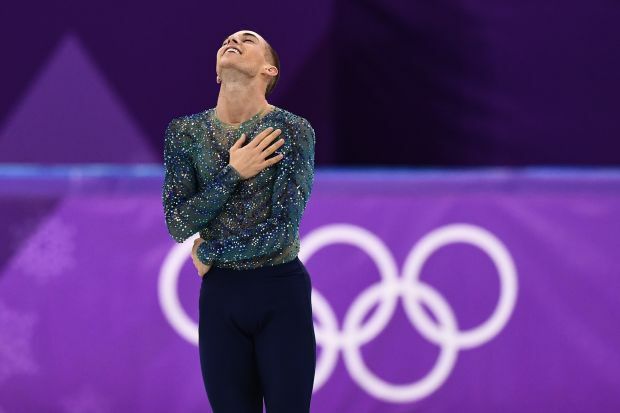 Figure skater Adam Rippon won a bronze medal in the team competition but it’s his Twitter game and media interviews at the Olympics that have earned him a gold medal. The Pyeongchang Games were a long time in the making for Rippon, who was an alternate for the 2010 Vancouver Games and spent the 2014 Sochi Games at home eating In-N-Out Burger with fellow 2018 Olympian and friend Mirai Nagasu. He told NBC he’s had a "blast" at these games. “I feel like my life will change so much after this whole Olympic experience. It’s been such a whirlwind but it’s been something I’ll remember my entire life,” said Rippon, who has wowed the crowd in Pyeongchang with his remarkable routines. "Adam is the Prince of the Olympics," said NBC figure skating announcer Tara Lipinski after his performance in the the men's single skating short program. He's hilarious on Twitter, with posts about getting his teeth bleached for his Olympic debut in Pyeongchang, wondering if he should try taking a shower in a toilet and reminding his followers for Valentine's Day about his "outside beauty." The 28-year old Pennsylvania native is as much fun to interview. When asked by NBC’s Andrea Joyce about his youthfulness, he said he couldn’t explain his "witchcraft." Another time he told Joyce he "might not be the best but I’m the most fun." He told "Today's" Savannah Guthrie that with his short program performance "he wanted to take everyone to the club. I feel like I did that." But Rippon, who has generated buzz alongside Gus Kenworthy as Team USA’s first two openly gay athletes, hasn’t shied away from serious topics even before the games kicked off. Rippon said he had no interest in meeting Vice President Mike Pence when he visited the Olympics because of his record on gay rights. Rippon hasn’t backed off the comments despite backlash on social media, though he said he didn’t want them to define his Olympic experience. "I'm not a gay Olympian. I'm just an Olympian," Rippon said. "And now I'm an Olympic medalist and I happen to be gay. It has nothing to do with how I got here. It does help to have nice eyebrows, though." Rippon inserts humor everywhere, though he does have a serious message to young people. "I know what it's like to be a young kid and feel out of place," he said. "To want to share your ideas and feel like people might not like them. I spent a lot of time worrying what people thought of me and soon as I was able to let go of those doubts, that's when I was able to find my voice. I hope that in the process of me sharing who I am with everyone, that they can find their voice too." A figure skating veteran at age 28, he says he has “no idea” what the future might hold for him professionally. "I think first I need a five-minute break, a really stiff drink, and then maybe like a day or two off the ice — at least to dry out my costumes — and then we'll see,” he said. "No matter what, to come away from this Olympic Games and to have skated like this and gone out there every single time, it's just so awesome. It's awesome." 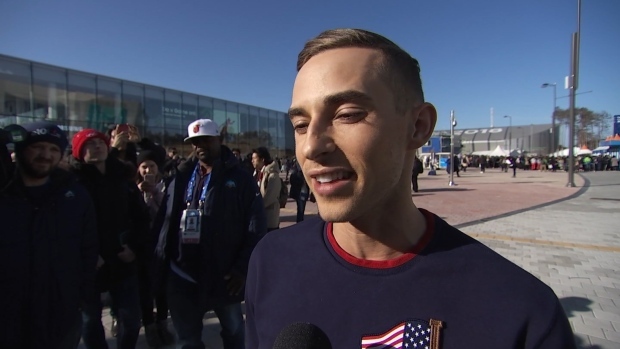 Adam Rippon did not come away from the 2018 Winter Games with an individual figure skating medal, but he believes the experience in Pyeongchang will change his life forever.